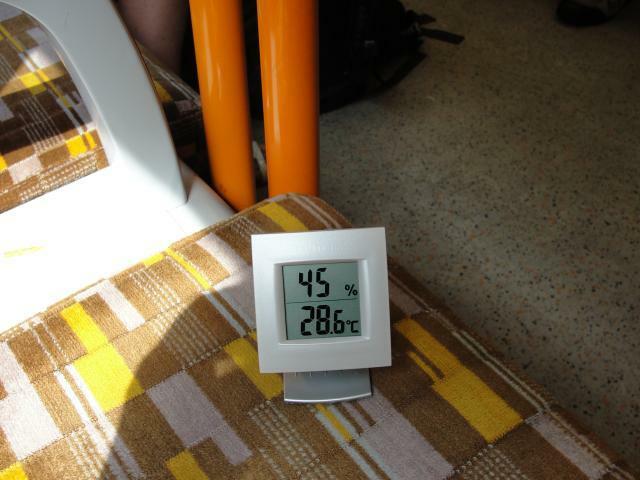 How Hot Does It Get On London's Public Transport? 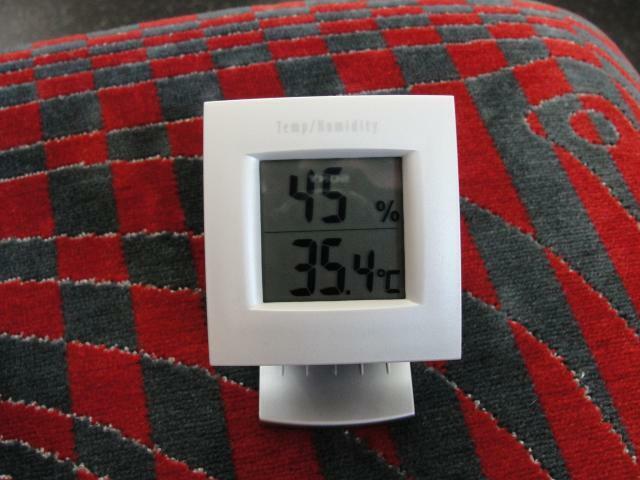 Rachel Holdsworth How Hot Does It Get On London's Public Transport? The New Bus for London has many names. Boris Bus. New Routemaster. We'd like to offer one more: Mobile Sweatbox. (Actually, we have another one in mind, but it's unprintable even by Londonist's liberal rules on profanity.) 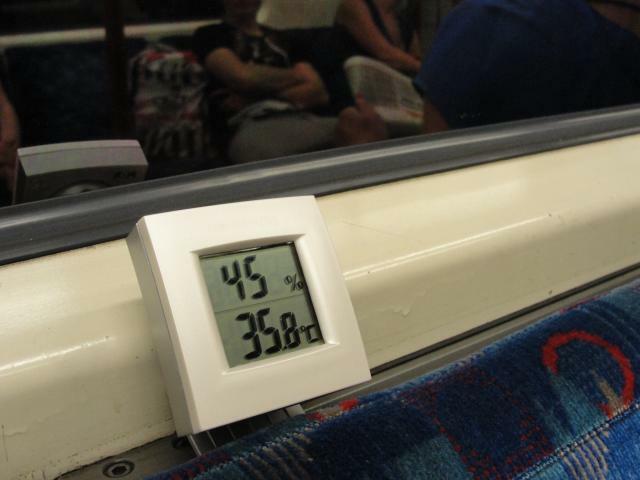 With no windows that open and an air 'cooling' (not conditioning) system that was even less effective than the Central Line's, temperatures are equal to the worst tube lines — but, crucially, zero breeze. Who designed this piece of crap? Thomas Heatherwick, please stick to Olympic cauldrons. Your deeply unhappy and sweaty author. 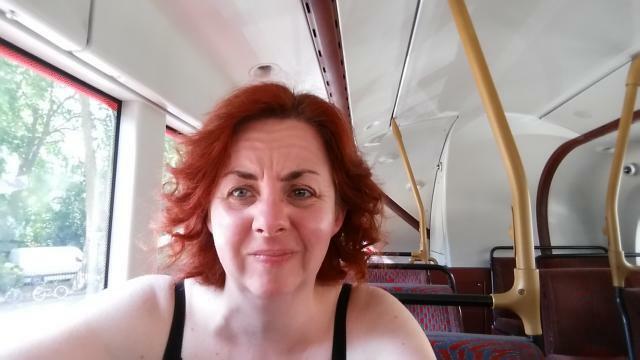 Not wanting to be too mean to the Boris Bus, we went upstairs on a normal double decker: the 185 between Forest Hill and Lewisham if you want specifics. 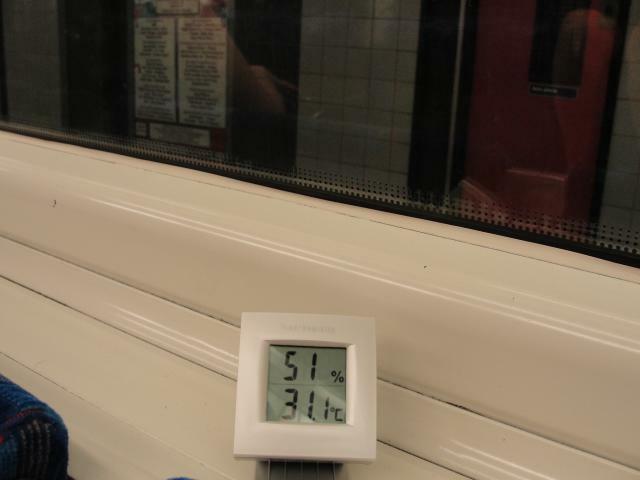 Just as empty as the Boris Bus number 10 we caught between King's Cross and Oxford Circus, the temperature reached about the same — but with all windows open the experience was very different. Also note the humidity level: the lowest we encountered all day. 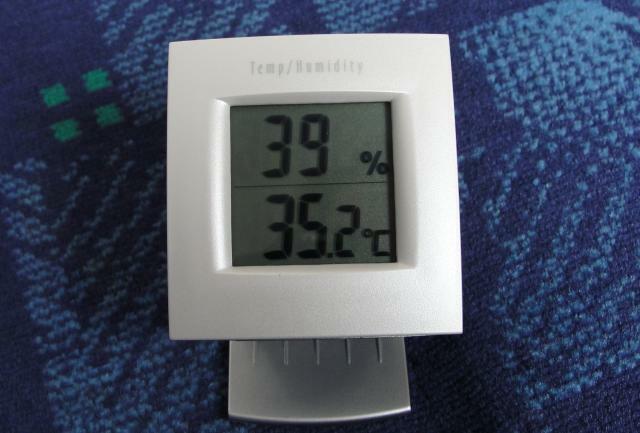 Only 31.1°C? Why, this is positively Scandinavian. Despite being another deep tube line, the Northern's had improvements to its ventilation systems and these days converts more of its braking friction into energy rather than heat. We could genuinely tell the difference. 54% humidity? Ew, that's sweaty. Even with open windows. 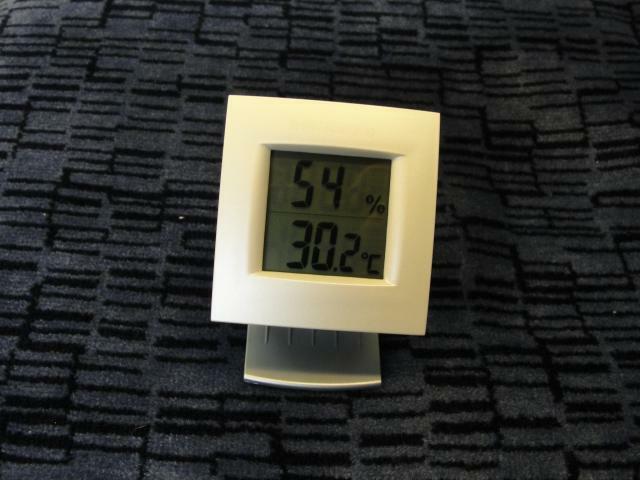 We did catch one of the new(ish) air conditioned sub-surface line trains between Liverpool Street and Whitechapel, but sadly two stops was not enough for our thermometer to properly take a reading. 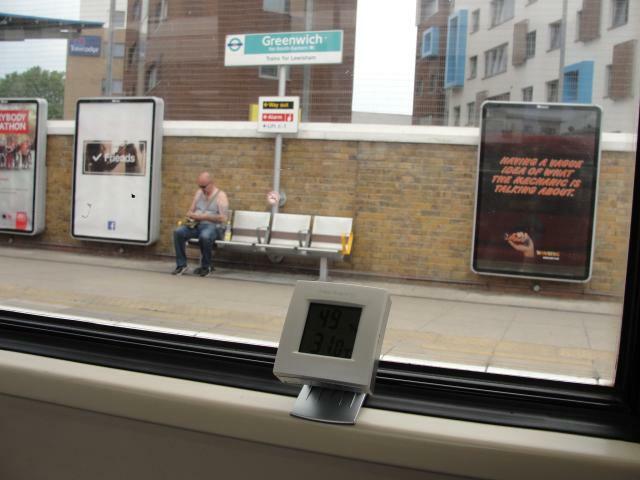 We reckon Overground trains are about the same, so if you want to cool down in a heatwave we recommend heading for one of these. Yes, we do appreciate that 28°C isn't exactly 'cool'.